VCT Board President, Tom Johnson, took the directing reigns once more for the 2015 summer musical production of "Oklahoma!" The Rodgers and Hammerstein classic was brought to life on Viroqua's Historic Temple Theater stage by an ensemble of Farmers, Cowmen, Singers, and Dancers. They even staged old-fashioned shootouts on the sidewalk outside the theater before the Saturday evening performances! 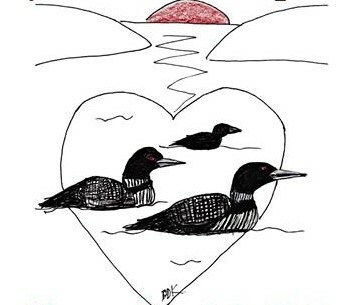 VCT Board Member, Pam Kalinosky, directed Ernest Thompson's "On Golden Pond" November 2014. This was the second VCT dramatic production at The Ark. The cast included David Hough, Risha Murray, Elias Ellefson, Charlene Elderkin, Phineas Kellum, and Brian Mastin. "Mame" was Board Member Tom Johnson's third production as director for VCT. Using five different backdrops, Broadway-worthy choreography, and an impressive costume ensemble, the cast of nearly 50 set the 2014 stage for this popular musical by Jerome Lawrence, Robert E. Lee, and Jerry Herman based on the novel by Patrick Dennis. Directed by Pita Daniels, "Crimes of the Heart", Beth Henley's 1981 Pulitzer Prize and New York Drama Critics Circle Award winner, was performed at Viroqua's The Ark in October 2013. The cast included Angie Bernstein, Jennifer Horton, Robert Anthony, Gracie Hallberg-Cain, Clara Zinky, and James Muller. Directed by Board Member Tom Johnson, 2013's "The Wizard of Oz" was VCT's largest production to date. With a cast and crew of nearly 100 people (mostly school-aged), beautiful backdrops, peppy dance numbers, and well known and loved music, it also earned the largest audience. Directed by Board Member Tom Johnson, "Blithe Spirit" was VCT's second Dinner Theatre held at The Rooted Spoon in 2013. Cast included: Jennifer Horton, Pam Kalinosky, Tom Westerhoff, Will Cronin, Zoe Zibton, Barbara Danner, and Tammy Mastin. Directed by Steven Laurdan "A Funny Thing Happened On The Way To The Forum" was VCT's second performance of 2012. Cast included: Steve Parr, Pam Kalinosky, Jake Stephens, Adam Fogelson, Sam Varney, Brian Mastin, Elias Ellefson, Zoe Zibton, Cassidy Coulson, Jackie Kolenko, Margot Hipwell, Patti Knower, Ira Slatter, Deneile Soltis, Misa Grenier, Reese Westerhoff, Sydney Westerhoff, and James Muller. Directed by Jake Stephens "Murder Me Always" was VCT's first ever Murder Mystery Dinner Theatre. Our highly successful dinner theatre was held at Viroqua's Rooted Spoon on Main Street in 2012. 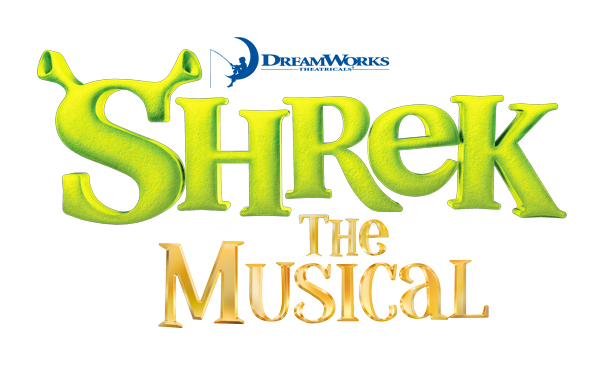 Cast included: Tom Johnson, Ruthie Rappl, Zoe Zibton, Dodie Whitaker, Margot Hipwell, Alec Rappaport, Gail Frie, James Muller, Cara Hill, Shirley Creager, Steven Laurdan, Phil Oliver and Elias Ellefson. Directed by Pam Kalinosky in 2011, "The Music Man" was one of our largest family shows to date. "The Music Man" included eight families all acting together in unforgettable performances. Cast included: Craig Fortney, Terri Kotek, Amy Kotek, Taryn Power Greendeer, Steve Parr, Barbara Danner, Ed Peterson, Erica Howe, Mitchell Colburn, Bethany Wemette, Zoe Zibton, Preston Colburn, Elizabeth Hoversten, Robert Hoversten, Rev Kimberly Jordan, Rev Lindsay Paul Jordan, Cassidy Coulson, Rebecca Wileman, Claudia Dull, Brendan Ellefson, Elias Ellefson, Cameron Mastin, Brian Mastin, Tammy Mastin, Sierra Mastin, Shirley Creager, Gil Hoel, Jim Graham, Sue Heitman, Emily Saner, Sam Saner, Dan Heitman, James Muller, Joel Johonson, and Tasha Blaircobb. Directed by VCT Board member, Bob Hill, Nunsense was our third production performed in February 2010. This hilarious comedy was a welcome reprieve for the winter blues. Cast included: Taryn Power Greendeer, Pam Kalinosky, Kim Jordan, Zoe Zibton, Katherine Koenieg and Maja Grinsted Hillegass. Directed by VCT Board member, Pam Kalinosky, Arsenic and Old Lace was VCT's second production onstage at Viroqua's Historic Temple Theatre in June, 2009. Cast included: Dean Saner, Taryn Power Greendeer, Erika Tucker, Matt Urch, Colin Crockett, Margot Hipwell, Dan Heitman, Patti Knower, Steve Parr, Grant Van Lishout, Ethan Larson, Jim Graham, Jonah Walker, Gil Hoel, and Ed Peterson. Directed by Jane Kouba, South Pacific was the Premier Production of Viroqua Community Theatre back in September 2008. And what a production it was, getting us off and running in the business of theatre arts in Viroqua. Cast included: Tammy Mastin, Gil Hoel, Maris Bock, Lucas Larson, Justin Blaircobb, Tasha Blaircobb, Erin Ford, Jackie Kolenko, Colin Crockett, Jonah Walker, Dean Saner, Dan Heitman, Brian Mastin, Jim Graham, Steve Parr, Forrest Humphrey, Marty McEvoy, Amy Jo Gabrielson, Caroline Carlson, Beth Walker-Stephenson, Kathy Lofton, Helen Jo Zitzmann, Misa Grenier, Ruthie Rappl, Autumn Gabrielson, Zoe Zibton, Emily Saner, Reese Westerhoff, Tom Westerhoff, Ed Peterson, Trevor Woggon, Jannah McPheron, Mari McPheron, and a special guest appearance by the Viroqua Men's Chorus! VCT Board Member, Deb Deaver, directed this Neil Simon comedy in the fall of 2016 at The Ark. The cast included Nathan H. Randall, Elias Ellefson, Jen Horton, Lucas Larson, Will Cronin, Ed Peterson, Angie Bernstein, and Bela Candelaria. Comedy, music, skits, and laughter...supporters of the Viroqua Community Theatre enjoyed a night of fun and entertainment while raising money at the 3rd One Night Only! VCT Fundraiser. Watch it here! Directed by Jacinta Henden, VCT's 2017 musical, "Seussical", was a joyous musical return after taking the summer of 2016 off as a rebuilding year. 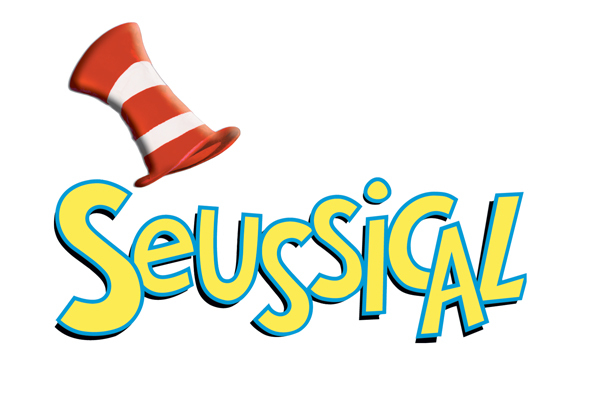 Written by Lynn Ahrens and Stephen Flaherty, "Seussical" is based on the world of Dr. Seuss and featured a cast of 50 (most of them school aged). With such beloved characters as The Cat in the Hat and Horton the Elephant, "Seussical" took everyone on a fantastical journey from the Jungle of Nool to Whoville and beyond. Once again the amazing Jacinta Henden directed both drama and music for VCT's summer 2018 musical, this time with a cast, orchestra and crew numbering over 100! Incredible performances all around and great audiences, selling out at the final matinee. Performed at The Historic Temple Theatre in Viroqua, this was a terrific way to be entertained either for a couple hours in the audience, several weeks in the pit or on crew, or for two months as a cast member.